Explore the famed Renaissance masterpieces of the Uffizi art gallery with a passionate and knowledgeable art historian. Enjoy works by Michelangelo, Giotto, Da Vinci, Botticelli, Raphael and more in one of the best-known museums in the world. Your guide will provide a rich, chronological overview of the Italian renaissance as you work your way through the museum. 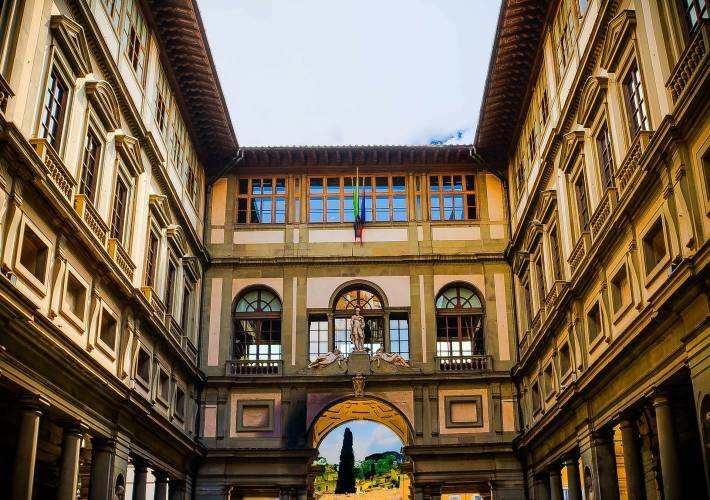 Note the Uffizi is closed on Mondays and select holidays (January 1, May 1, December 25). On the first Sunday of each month, all museum admissions are free and no skip-the-line access reservations can be made.